A vibrant area such as Earlsfield with its world-class restaurants and vast amount of entertainment can be a vibrant environment, but at times, maybe a little exhausting. As such, there will be occasions when you will want to seek out the sanctuary of your home and make the most of the peace and comfort available to you. Unfortunately however, sometimes, even your own home can seem a little cramped and rowdy if you have not allowed your home to grow with your family. Happily help is on hand from the Attic Conversion Earlsfield specialists, Berry Construction. Many people will overlook the option of converting their attic space into an additional living area for a wealth of reasons to include perhaps assuming that it won't be possible or large enough. 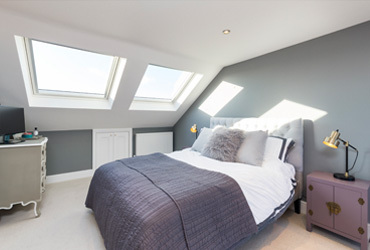 Berry Construction can provide you with a reliable and professional service alongside the very best attic conversion Earlsfield has to offer; enabling you to transform your attic space into a stylish and useful addition to your home. For many homeowners, the need for additional bedrooms will be a primary reason to extend their home and many attic spaces will offer more than enough space to create additional bedrooms or a wealth of other options such as a playroom for the children. 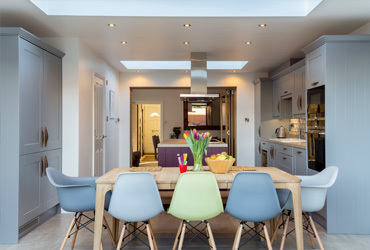 Sometimes a ground floor extension is not possible due to the lack of space and an attic conversion offers an excellent alternative to extend your home and create the perfect additional living space, without even having to alter its appearance. An attic conversion can provide an enormous range of uses such as an extra guestroom, or even a hobby room such as a fitness area or artists studio. A dedicated office space is becoming more essential to many homeowners and an attic conversion can be the ideal location to situate a home office. In these modern times, even householders who don't specifically work from home, will enjoy the benefits of a proper area to do any paperwork and pay bills, away from the disruption that every day family life can create. One consideration that is often overlooked or ignored when considering an attic conversion is the incredible rooftop views that such an extension could provide you with and not only will you benefit from this wonderful home improvement, but there is no question that it will add great value to your home and increase its future saleability. Berry Construction provides a complimentary, no-obligation advisory visit to discuss with you the numerous options at your disposal. 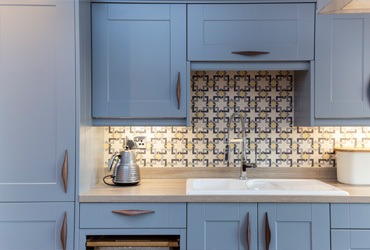 Working with you every step of the way from the initial planning process to the finishing touches, you can relax, safe in the knowledge that this crucial improvement to your home will be carried out to superior standards with the minimum of inconvenience. There is no question that by utilising your unused attic space and increasing the living area of your home, you will not only benefit from a more sizeable and functional space, but you will also increase the future resale value substantially. In addition, future potential purchasers will have the benefit of the additional space that you have provided, without the thought of unwanted inconvenience in having to carry out any necessary works themselves. Berry Construction will provide you the most professional, specialised attic conversion Earlsfield has to offer; providing you with the additional space that you require as well as adding immense value to your home. By providing you with clear and organised plans and advice along the way, your ideal home will be a reality sooner than you think.